I haven't done much sewing lately, but at least my mom has something to show! My mom finished her lovely Pom Pom de Paris by Moda jelly roll quilt last week, I just love the quilting, it looks so good with the wool batting. 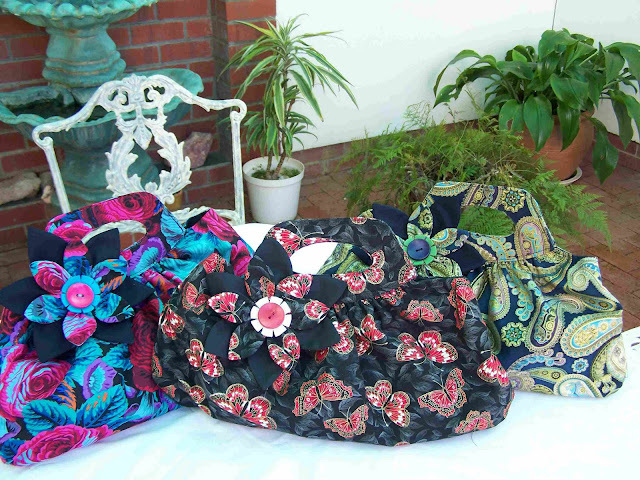 She also finished three cute handbags made using a Heather Bailey's Marlo Bloom pattern. Yummy! I found two cute rock pigeon chicks relaxing on one of my deck chairs on the balcony on Sunday. Too comfy wouldn't you say! 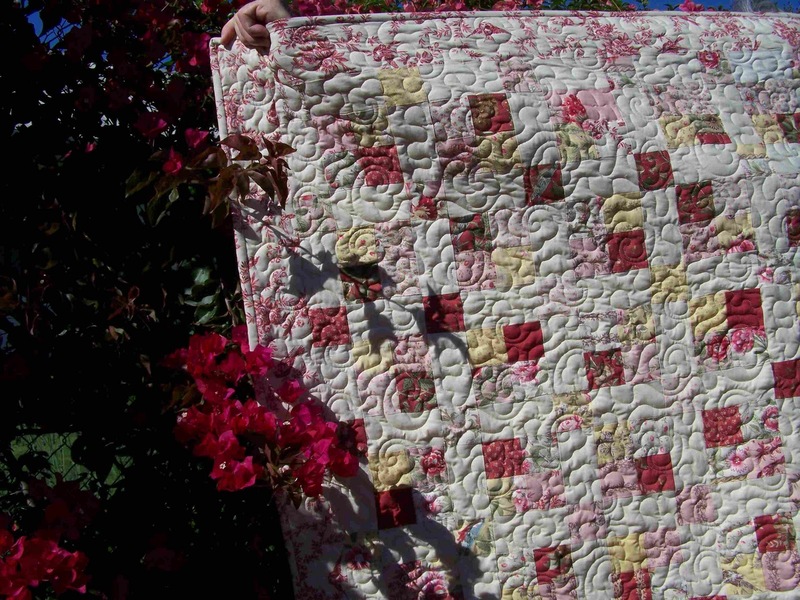 The quilting is wonderful and the design is beautiful. Isn't it wonderful to live in SA where we have such wonderful nature. Your mom's quilt is lovely and so are her bags. I also like the quilting. Beautiful! lovely quilting too. Those bags are so pretty, I love the decorative fabric flower pins. Those chicks have settled in lol.. cute! The quilt is so beautiful! Pom Pom de Paris is still one of my favourite jelly rolls!! lovely bags! Pretty bags indeed! 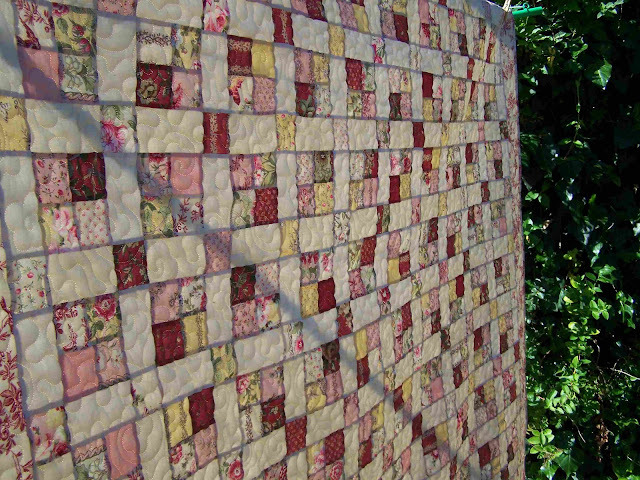 I love the quilting and although I'm a longarm quilter on my own I've never used wool batting so far (always afraid it might be shrinking). But it looks great, I should give it a try by one of my next projects too!